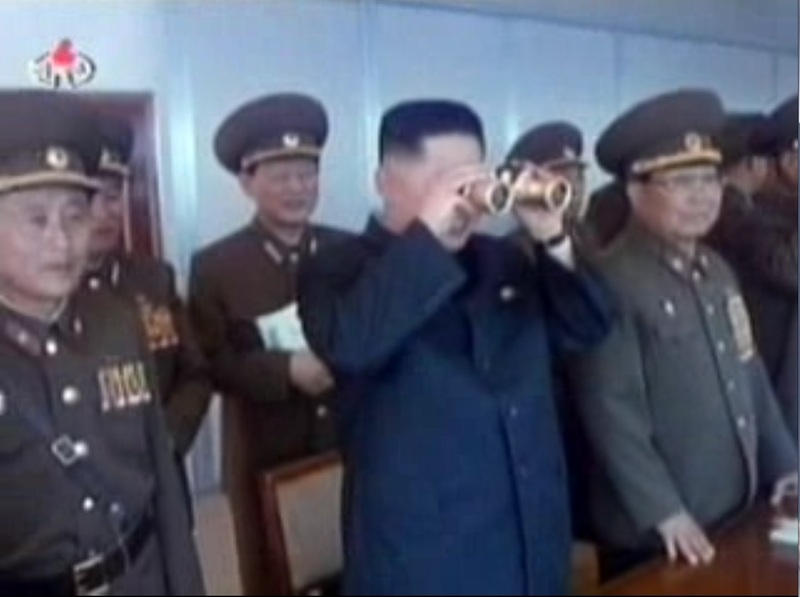 Last week, North Korea’s official television station aired footage of leader Kim Jong-il’s past military inspections, during which his third son and heir apparent, Kim Jong-un, was seen watching a tank drill while apparently holding a pair of binoculars upside down. I posted this very clip from North Korean television to Youtube. You can see it here. Though this is a different guidance tour, these appear to be the same set of binoculars, and he appears to be holding them the same way. Maybe he is holding them correctly. Maybe no one has the guts to correct him. I don’t know. Another interesting fact: This show aired on North Korean television on February 16, 2011 (Kim Jong-il’s official birthday). This particular guidance tour, however, was first publicized on January 17, 2010, when KCNA reported that Kim Jong-il watched combined maneuvers of the KPA three services. At the time, KCNA did not report that Kim Jong-un was present at this exercise (this occurred eight months before he was officially unveiled and given his titles in September 2010). So this video, if accurate, is evidence that Kim Jong-un was traveling on guidance tours with Kim Jong-il well in advance of his official promotion. If this video is not accurate, in other words if Kim Jong-un was not actually present at this exercise but was recently spliced in, it could mean that Kim Jong-un’s military bona fides are being built up for public consumption. The Daily NK reports on more of that here. 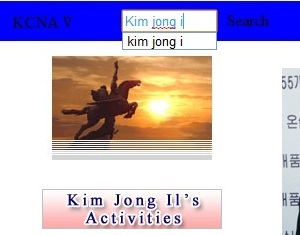 The search box on the English version of the new KCNA web page is too small to type “Kim Jong il”. The best you can do is “Kim Jong i”. If you are looking for the “January 18 General Machinery Plant” you can forget about it. The best you can do is “January 18”. On the Korean Version of the page, you can type “Kim Jong il” in Korean (김정일), but it does not allow enough space for his honorific title: 위대한 령도자 김정일동지 (The Great Leader Comrade Kim Jong-il) . 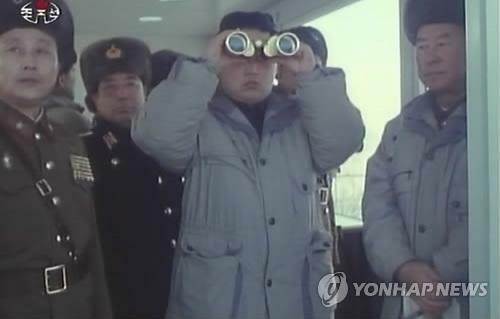 On KCNA, the best you can do is: 위대한 령도자 김정 (missing the “il” and “comrade”). If you take out the spaces, you can get all but the last character in “Comrade” (지). The programmers obviously don’t expect many North Koreans to use the page! Kim Hwang’s pizza recipe is designed to be used in a place where cheese is hardly available — North Korea. This is a must see, though I was a little disappointed that there was not a “CNC” formation this time around. This entry was posted on Thursday, March 3rd, 2011 at 10:17 pm and is filed under Food, Kim Jong Un, Uncategorized. You can follow any responses to this entry through the RSS 2.0 feed. Both comments and pings are currently closed.